Attendees from Basin Villages Forum committee were Terry Smith, Peter Vincent & Pam Wells. The meeting was chaired by the Police Crime prevention manager Kevin McNeil with input from the acting Nowra area Commander Mr O’Keefe. 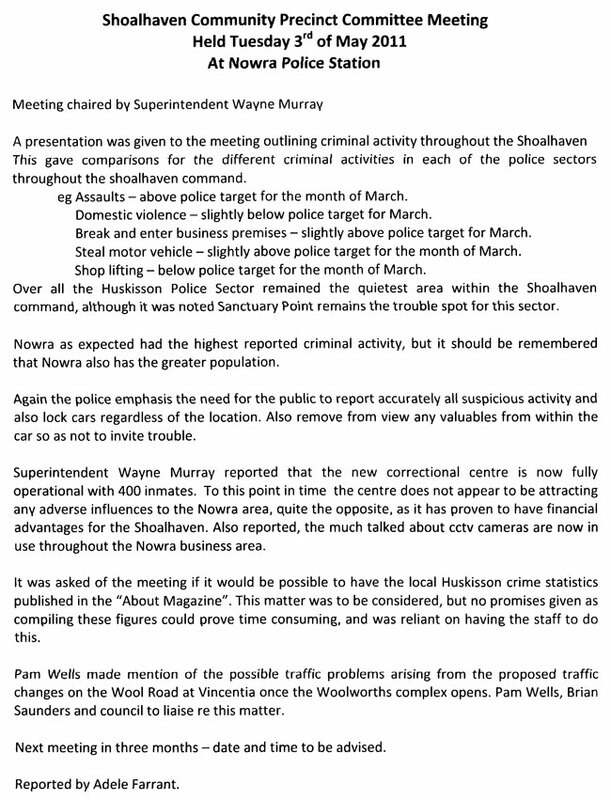 A snapshot of the crime statistics for the Shoalhaven area was presented with open discussion on the role Police see the local residents taking, when forming their Working Groups or sub-committees. 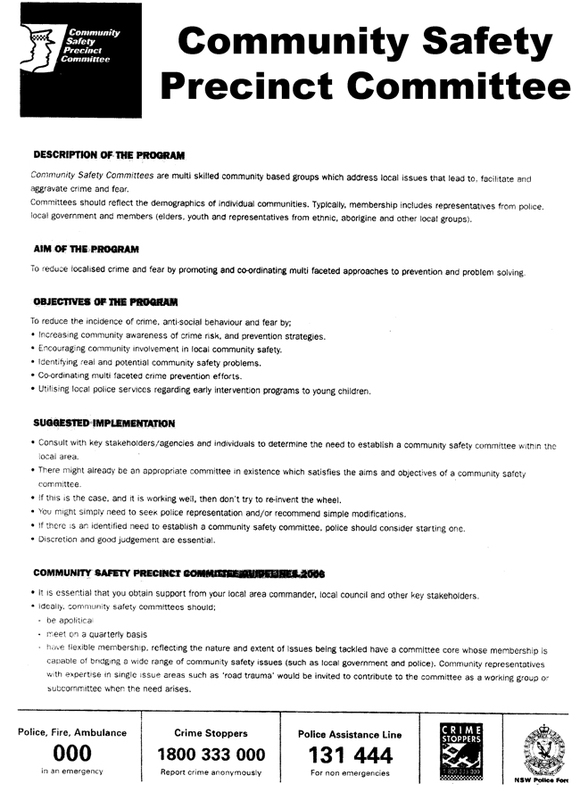 Once we form a Bay & Basin Community Safety Precinct Committee it will give everyone living in our community whether they are parents, teachers, safety campaigners or just interested individuals, the chance to work in a consultative way with the local police to change the crime profile in our area. The roadmap for this process has been set out by Kevin McNeil with specific local profiling to be completed by our working group, such as geographic, community policing and crime issues. 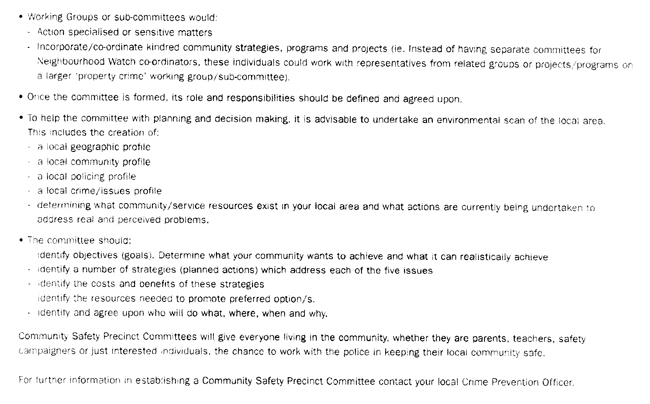 The committee (working group) will then identify objectives and goals the community wishes to achieve in their area. A date for the next meeting will be set once the local working groups have done their homework and have some viable objectives to present in three months time.